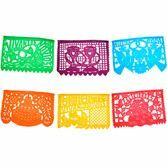 Our Medium Wedding Plastic Picado is a wonderful way to decorate for an Engagement party, Bridal Shower, or Wedding reception. 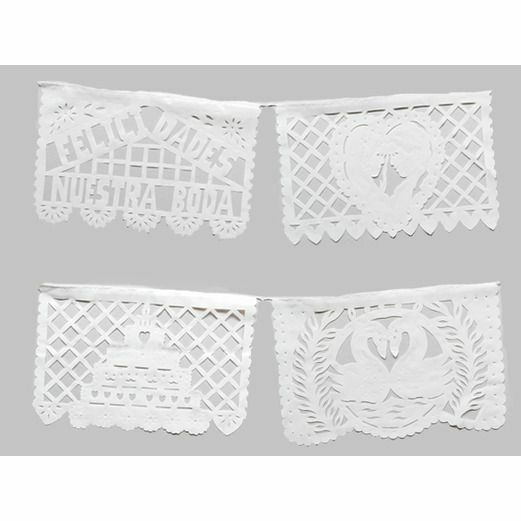 This authentic Mexican banner features hand-cut panels with romantic images. 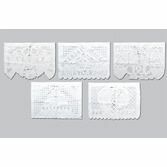 Hang up our Medium Wedding Plastic Picado inside or outdoors for a truly festive and unique look. 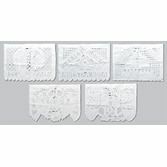 Size of each panel: 13" x 8.5"